Judith R. Mullen, 93 of Little Silver died on Tuesday at Manor by the Sea, Ocean Grove. Mrs. Mullen was born and raised in New York City, lived in Lincroft and Holmdel for many years before moving to Little Silver to live with her daughter. Judith loved to frequent the Phillips Avenue beach in Deal, where she would spend hours in the sun and swimming in the ocean. She was avid reader, reading all types of books. She and her husband Edward enjoyed travelling to the islands of St. Croix and St. Martin. 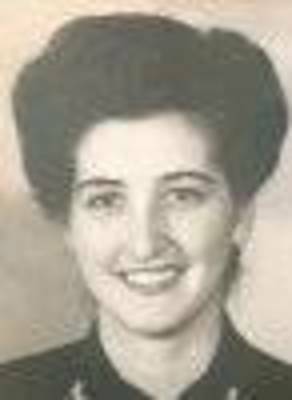 Judith served in the United States Navy from 1942 to 1945. As a civilian, she continued to work for the government as an administrative associate in the Provost Marshall office at Ft. Monmouth. She later, at the age of 62 years, decided to attend the nursing program through the Monmouth County Vocational School System and earned her nursing license to practice. She was a nurse at Marlboro Psychiatric Hospital, where she worked until she retired. Judith was pre-deceased by her loving husband, Edward in 2001. She is survived by her 3 loving daughters, Francine Dudick, Little Silver, Bernadette Mullen and her husband Edward Stillwell, River Plaza and Bonnie Guida and her husband Paul, Middletown; 9 beloved grandchildren, Christopher, Colin, Caitlin, Kara, Ryan, Danielle, Shaylyn, Edward and Daniel; 6 adored great grandchildren, Milana, Luke, Wesley, Scott, Charlie and Sophia. Visitation Friday, Feb. 22nd, 9 until her funeral service at 11am at the Holmdel Funeral Home, 26 South Holmdel Road, Holmdel. Entombment will follow at Holmdel Mausoleum, Holmdel. To share a favorite memory or send messages of condolence please visit Judith’s page of tributes at www.holmdelfuneralhome.com.